We welcome applications . Please contact our Head Professional and Golf Services Manager Jonnie Cliff who will be delighted to arrange to show you round the clubhouse facilities and for you to have a round of golf. Although we usually require support from 2 existing members on the form, if you are new to the area and do not know anyone please contact the Office for further information. Telephone:0131 337 3478 option 1. 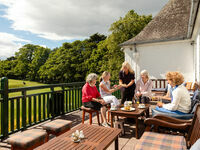 WHY JOIN MURRAYFIELD GOLF CLUB? We welcome golfers of all standards and are a family friendly club with all sections being very active and well supported. The course is a mix of heathland and parkland designed by James Braid. It is close to the city centre and has stunning views over the city and the Firth of Forth. It is in excellent condition and maintained by a full team of Greenkeepers using the latest equipment. It offers challenging golf for all players. The Head Professional Jonnie Cliff and his two fellow professionals have individual and group coaching packages catering to golfers of all abilities from juniors to adults. 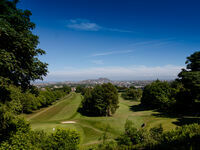 Have a look at Murrayfield’s Golf Academy page . We offer a unique mix of competitive and social golf for men, ladies and juniors plus an active social calendar for members and their guests. Tee times are readily available for midweek and weekend competitions or social play. We encourage new members to join in club activities from the start. There are events particularly for new members. All four sections are thriving, in particular we have one of the biggest ladies' sections in the UK most of whom actively golf throughout the year. We are a very sociable Club with social events taking place many weekends. The newly refurbished clubhouse has excellent Bar & Catering facilities which are available for you and your friends and family to use 12 months a year. Being just up the road from Murrayfield Stadium, we have special events on international match days. Sign up for tee times and competitions online using our app Download for Android here Download for ios here. Sky Sports in the lounge and bar areas - members enjoy watching major sporting events, including Golf, Rugby, Football and Tennis shown all year. 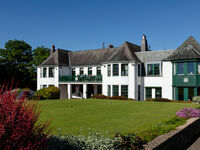 Beautifully appointed Lounge and Dining Room on first floor overlooking the course available for private functions. 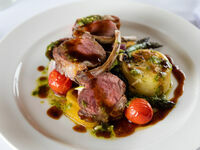 A full range of catering is provided in house by Rory and his team of chefs. You can participate in our many social events, or just relax in our Bars on the first floor and enjoy the fantastic view over our golf course. 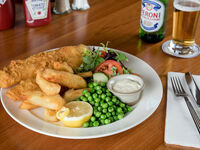 You could simply watch sport on our TV in the Lounge, join in the bridge afternoons or sign up for Quiz Nights. 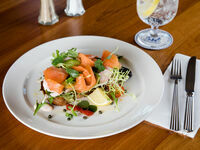 You may wish to come along for a mid-week snack, a Friday night bistro or Sunday lunch and enjoy the excellent cuisine provided Rory our chef or even hold your own private function in the clubhouse. Social members receive a swipe card to benefit from discounts in the Bar and Catering. *Annual Subscription can be paid monthly via Direct Debit payments. **Joining fees can be paid over the first 5 year period via monthly Direct Debit payments. Please note that the Bar Levy is taken in full in the first month of joining and must be used by 31st December. All sums are based on current Annual Subscriptions and may vary as the subs do. An optional Staff Gratuities payment of £15 can be made annually rather than leaving tips.